Princeton is a town that is well known by all New Jersey residents. It prides itself on its rich history, attractive downtown area, and excellent school systems. It is known as an extremely well educated area due to its prestigious University and many nationally ranked private schools. By selecting the different layers you can choose to view census tracts and block groups from each year as well as the median household income. 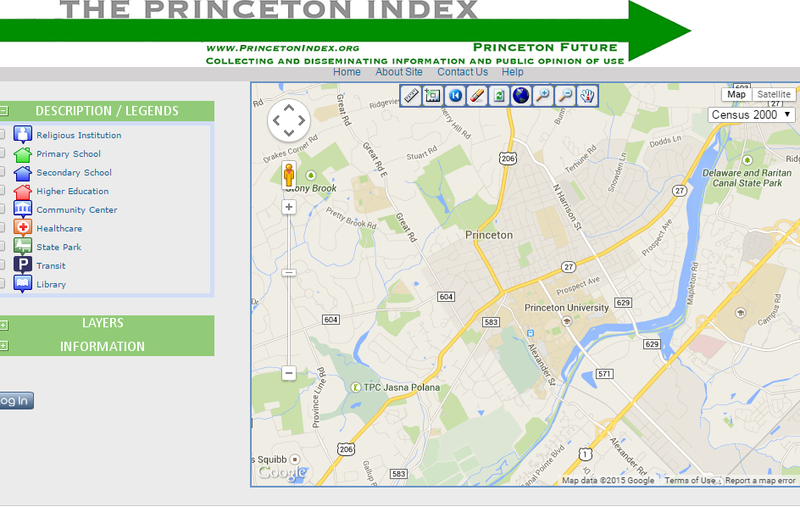 To display various Points of Interest on the map such as parks, schools, and community centers, you can click on the corresponding icon. For a guide to using the Interactive Map, Click Here.